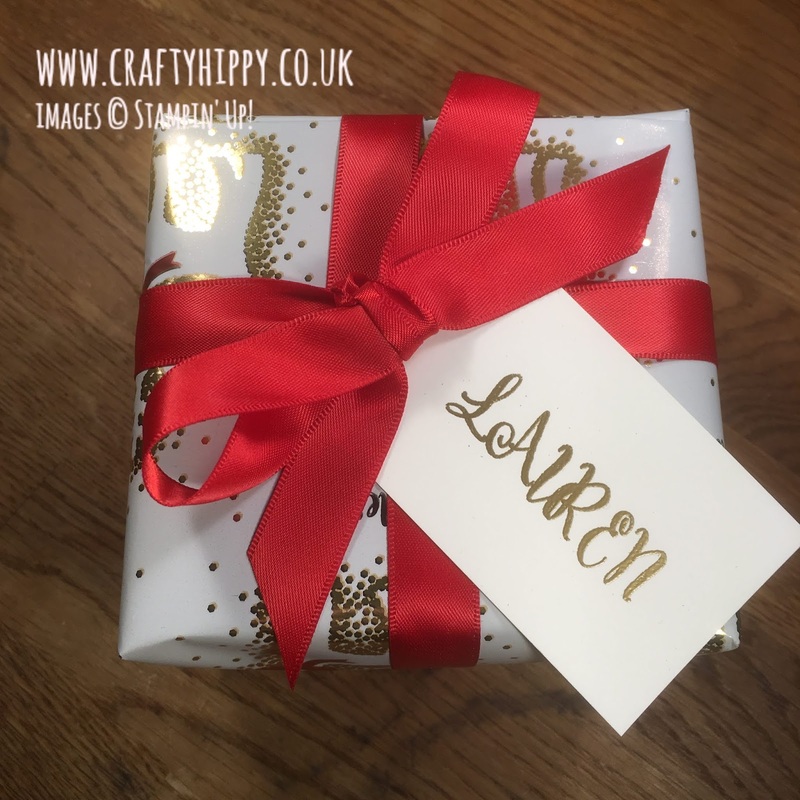 At Christmas, Mr Hippy was asked to buy a Secret Santa present for his work friend, also called Lauren. For those not in the UK, Secret Santa is where you have to buy a Christmas present for one of your colleagues, and usually the name is picked out of a hat. 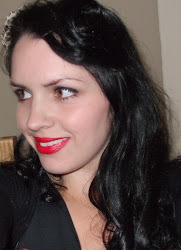 This is kept a secret, and usually there is a maximum spend to keep it fair. He asked me if I would mind wrapping Lauren's gifts. Of course I jumped at the chance and was presented with a box and a bottle (not shown) to wrap. Of course all the Secret Santa presents are put together (so as not to give away who is gifting what) and so it needed Lauren's name on. 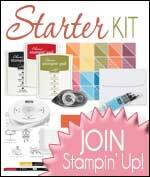 This is where my Stampin' Up! supplies came in handy. 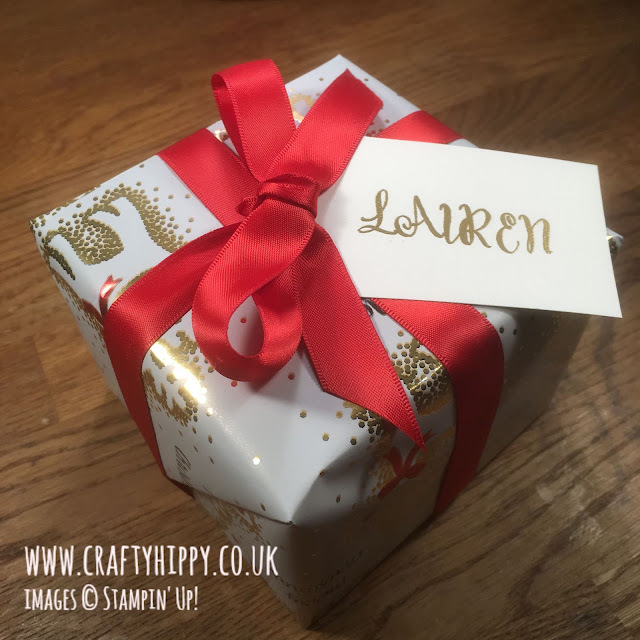 I used the Make A Difference Photopolymer Stamp Set to stamp Lauren's name, which I later embossed in Gold. By all accounts Lauren absolutely loved her gifts and the wrapping - I wish I had taken a picture of the bottle as it was wrapped particularly snazzily.